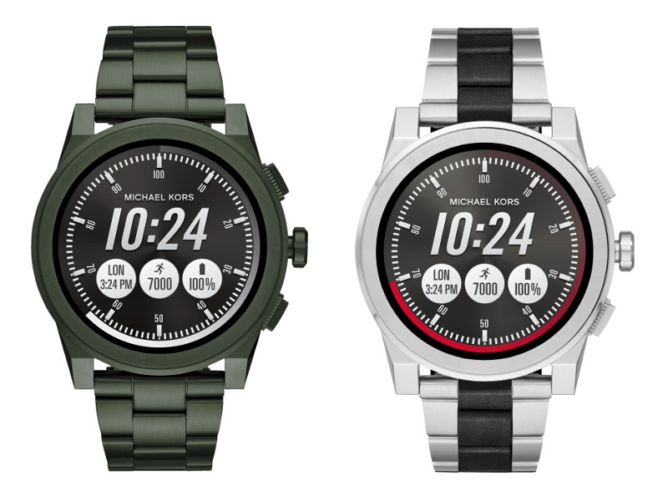 Michael Kors entered the Android Wear through Fossil almost two years ago, and it's since been pretty active in releasing new models. In a world where most mainstream manufacturers are abandoning Android Wear, it seems like it's the fashion brands that are the most persistent on the platform. Case in point: MK has just released two new Android Wear 2.0-toting models of the Grayson and Sofie that come in several interesting color combinations. As part of its Spring 2018 collection (it's a fashion company, cut them some slack), the new Grayson and Sofie watches are being released with Android Wear 2.0. That means that they're getting Google Assistant, customizable watchfaces, and activity-tracking capabilities, among other new features. Both of them will also get a microapp called "My Social," which lets you use your Instagram or Facebook photos as watchfaces. Later this month, another microapp, dubbed "My Next," will let you start countdowns to important events. Both watches are powered by the same Snapdragon Wear 2100 chipset, 512MB of RAM, and 4GB of storage as their predecessors. Unfortunately, NFC is still not present, and neither is a heart-rate monitor. Color-wise, the Grayson is going to come in dark green and a two-tone silver-black combo. The women-oriented Sofie comes in the four color combos that you see in the hero image: one with rose gold and pink, one with rose gold and silver, one with gold and white, and one in light blue. Michael Kors also offers straps made of silicone, leather, and embossed python. The new Grayson and Sofie are slated to be released by the end of the month.